•	A Single Lever Diverter – 3,500/- to 4,000/-. that roughly costs around 110/- per piece. Wall tiles, approximately costs 55/- per piece. But the cost and budget for floor and wall tiles may vary with home owner’s choice of design and bathroom interiors. 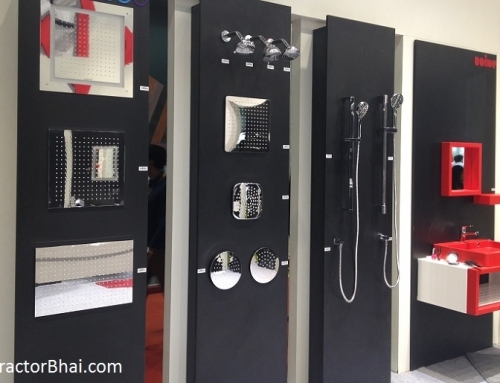 Then you have other accessories like pipes, water cork, master valve outside bathroom, etc. 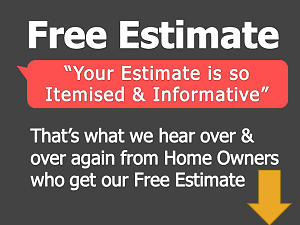 for which an home owner approximately can end up spending 15,000/- to 17,000/-. Here the cost mentioned includes labor charges too. 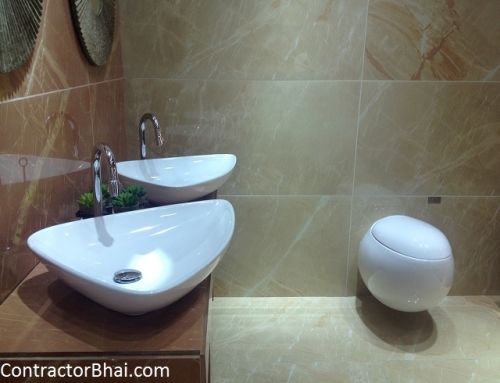 For a standard size bathroom, the cost of repair goes around 1 lakh. This will include fittings and basic features like a diverter, a WC, Wash basin and tiles, pipes etc. Fittings will diverter, WC and wash basin will roughly cost 50-60 thousand depending on which branded fittings home owner buys. Rest 40-50 lakh includes other material like tiles, cement, etc. 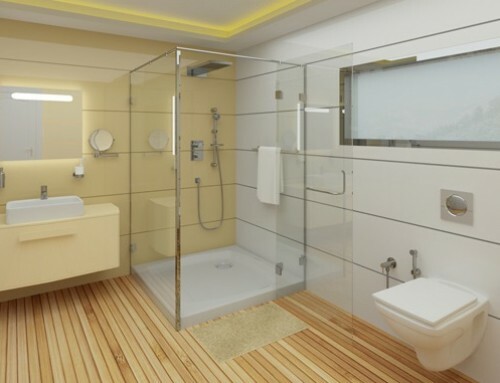 These are just rough estimates to help home owners plan a budget for bathroom repair work. 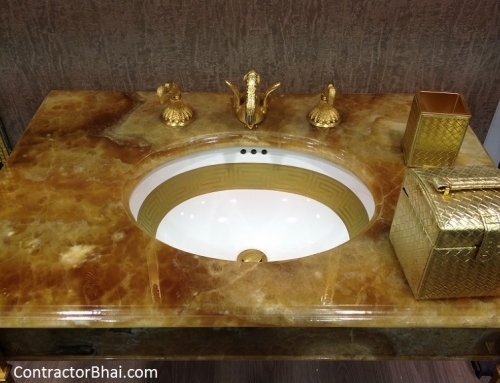 The final cost will vary with brand on sanitary ware and design and style of tiles chosen. 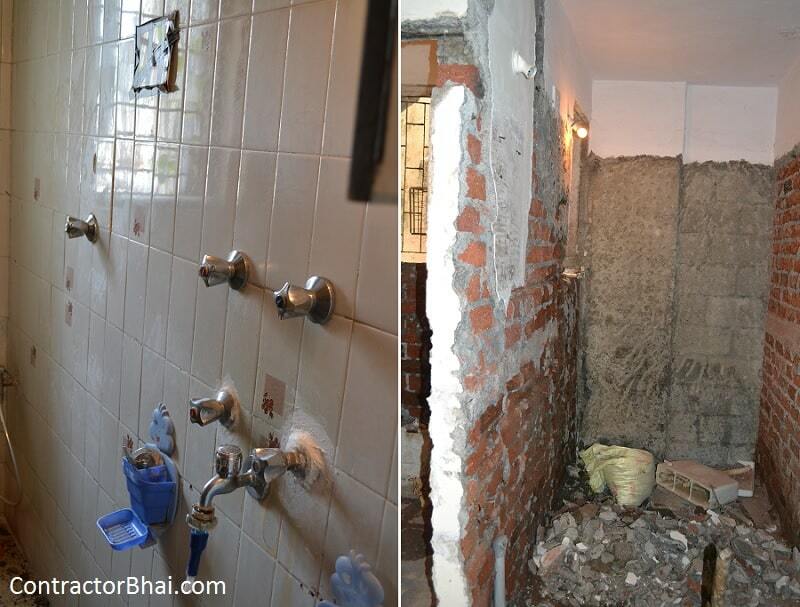 To get and exact bathroom repair cost in detail, home owners can feel free to contact contractorbhai.com anytime.